I was just reading over on 420leaks.com that there was a lawyer putting the word out to everyone who might be interested. He was hoping one of the folks who won a recreational marijuana license in the Washington state recreational marijuana business license lottery would see his announcement. His announcement was that he is a lawyer and he is working with other lawyers to help folks who won a license in the lottery sell their license if they think they might not be able to accomplish their goals with their license. I've never heard of this guy but I assume he specializes in business law. if things aren’t quite coming together, and you’re worried that the LCB will deny your application and you’ll end up with nothing, you may want to consider selling. The government basically tried to limit the number of people who could start marijuana businesses, then the people who won this lottery are now able to sell. People should not be able to acquire government privilege and sell it. This goes against some sort of moral or ethical standard. 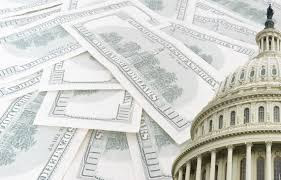 I hope the citizens of Washington see what is going on with the mixture of money and government and respond with the appropriate amount of interaction with their lawmakers.